The 2,040 capaicty arena would be sited adjacent to the pier and could attract up to 400,000 spectators a year to the small seaside town in Lincolnshire, which is most famous for being the first Butlin's holiday resort. 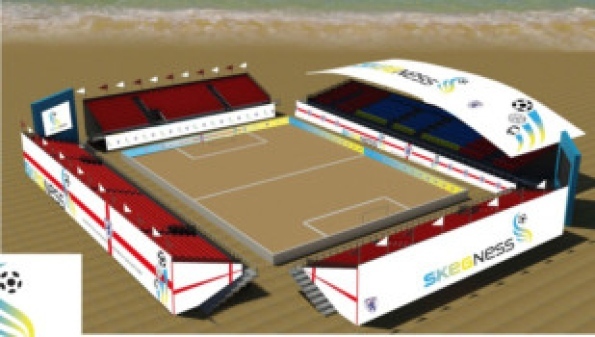 The town's sandy beaches make it an ideal venture for such a project, claims Gary Shepherd, the chief executive of Skegness Beach Stadium Ltd, which are behind the project, including financing it. 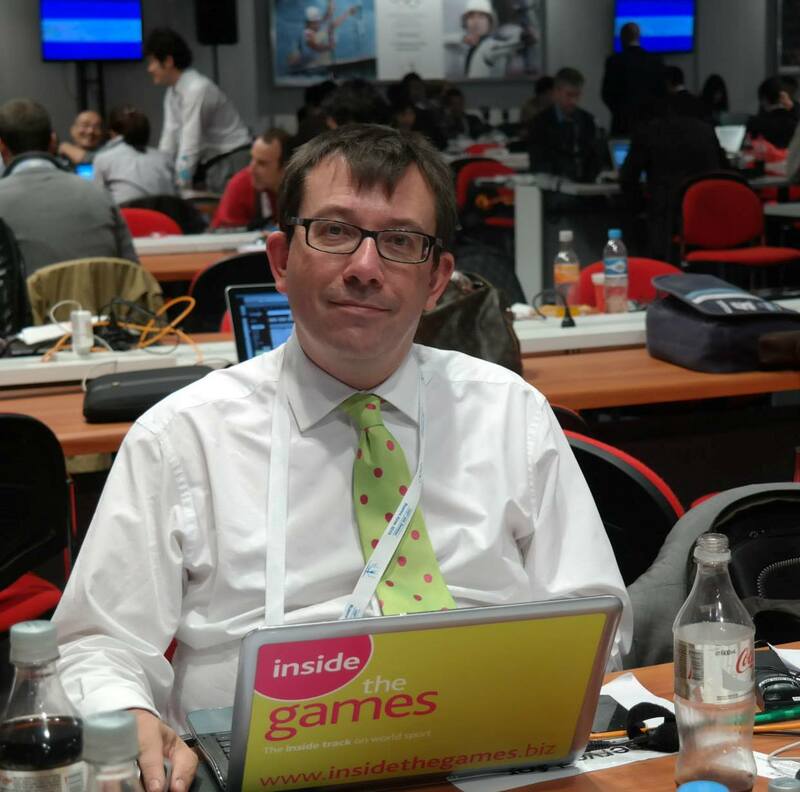 "This is an opportunity for Skegness to bring in an exciting new business within the Olympic sports legacy, create new jobs and serve as a long-term driver of economic growth," he said. "This is Skegness's chance to begin capturing major international sporting events, especially during what is typically our slow hotel season, as the season will run from April through to late October. "We believe very strongly that the time to act upon this project is now." To publicise the venture England's national beach soccer team have been training this weekend in Skegness. Beach football is currently lobbying to be included in the Olympic programme for Rio 2016 and FIFA President Sepp Blatter has been seeking the support of Carlos Nuzman, head of the Organising Committee. Blatter's proposal seems unlikely to succeed in time for Rio but with a thriving competition schedule, including a bi-annual World Cup, the clamour for it to be included at some later date is sure to grow. This year's Beach World Cup is due to be held in Tahiti in September, where Russia will be defending the title they won at Ravenna, Italy, in 2011. England will not be represented at the tournament after finishing bottom of their group in the qualifying competition in Moscow last year. The hope is that the project in Skegness could help the sport grow in England. "We believe that Skegness Beach represents one of the last untapped major sports and entertainment markets in the country and will offer the entire nation an excellent opportunity to strengthen an established beach sports, hopefully destined for the 2020 Olympics," said England manager David Jones. "The opportunity to have the use of a proper stadium facility to train, host national events and international matches will definitely raise the profile of the sport in this country." The plan is to have 64 teams using the 2,040 seater venue for weekly tournaments while, out of season, the stadium would host a wide array of entertainment, including beach parties. If planning approval is given, it is hoped to start building the stadium in June this year. The ambitious plan is being backed by Mark Anderson, the Mayor of Skegness. "Skegness will give a warm welcome to national and international beach sports - the investment could bring and secure employment and attract new audiences into our beloved Skegness town," he said.